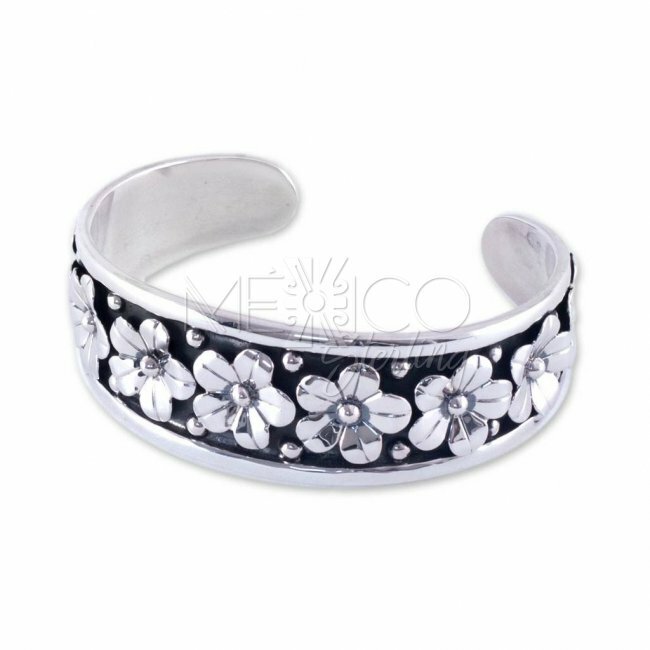 Mexican Handmade Cuff Bracelet - $160.00 : Mexico Sterling Silver Jewelry, Proundly from Mexico to the world. Dimensions: W: 1" Inside Circumference: 6 3/4"
This is a charming piece of jewelry with a lovely feminine composition. This is an entirely handmade silver bracelet, crafted with a 950 purity silver, better quality silver than the most common 925. It is a solid silver and sturdy piece, carrying a substantial weight for its size. 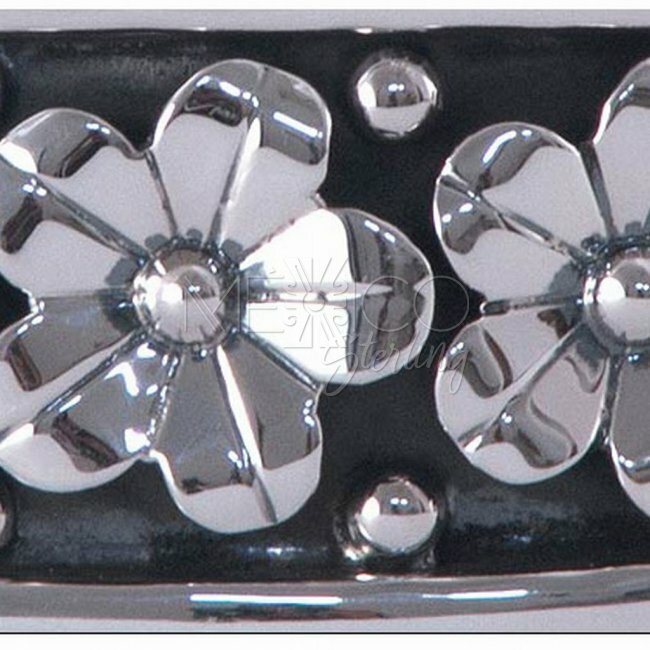 It also has several beautiful features that I would like to point out, like the oxidized silver on the background that allows the overlaid silver flowers to pop out because of the nice contrast produced by the depth created by the background. The silver polished borders also serve as frames for the overlaid flowers. In general, there's a wide combination of nature motifs and silver elements, that make this piece very interesting to the eye. The artist used the oxidized silver technique widely and in a very strategic way, giving this silver bracelet the illusion of? 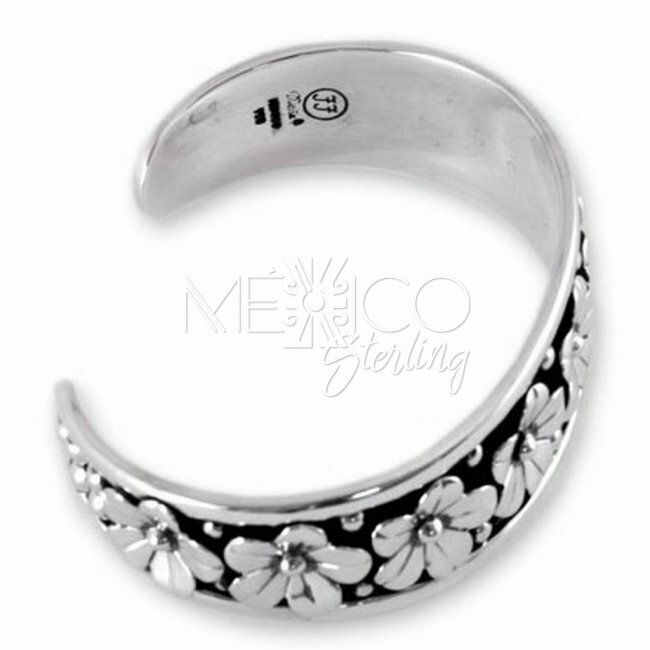 a vintage style look that is so representative of Taxco silver jewelry. It is also carrying the artist mark JJ that stands for Joaquin and Josefina. I hope you like this new line.